This Liberty 383 OT1010 Ballentine Rectangular Cocktail Table from Carolina Furntiure is made from select hardwoods and figured cherry/mapa burl veneer. 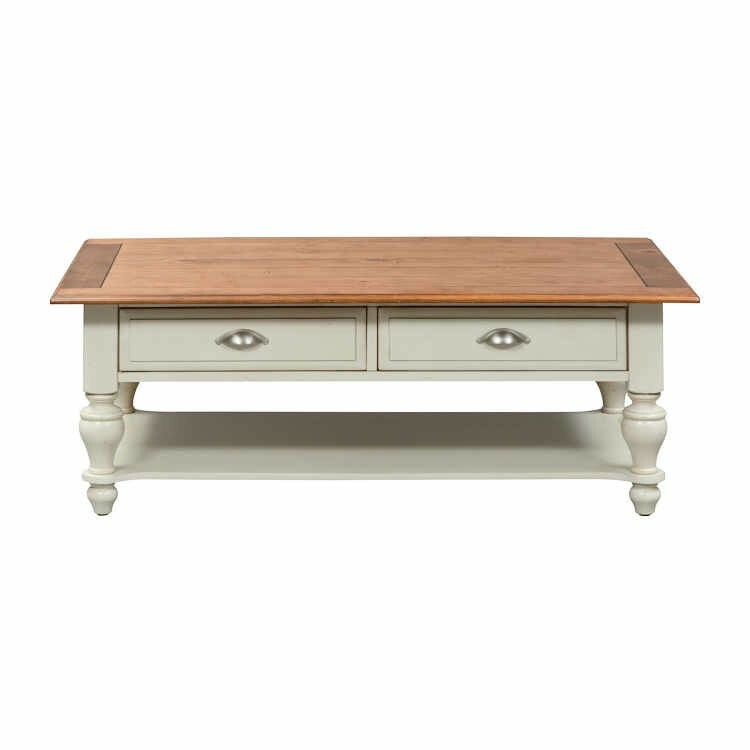 The cocktail table features two drawers that are fully stained and have felt lining. 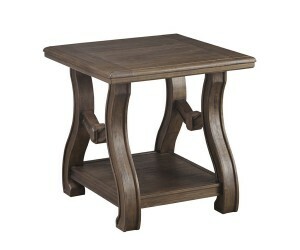 The bottom portion of the table offers a single shelf for placing magazines, books, or decor onto. The table has glazed patina hardware to offer style and the table sits on tapered legs with castered wheels on the bottom to be easily moved.